Kan. Stat. Ann. § 60-3303. 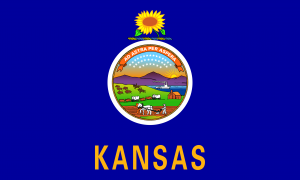 A seller is not subject to a product liability claim if the seller establishes that it had no knowledge of the defect; that the seller could not have discovered the defect while exercising reasonable care; that the seller was not the manufacturer; that the manufacturer is subject to the service of process either under the laws of Kansas or the claimant’s domicile; and any judgment against the manufacturer obtained by the claimant would be reasonably certain of being satisfied. Kan. Stat. Ann. § 60-3306. A Yes. Compliance creates a rebuttable presumption that a product is not defective. When the injury-causing aspect of the product was in compliance with legislative or administrative regulatory standards, the product is deemed not defective in the relevant areas, unless the claimant proves by a preponderance of the evidence that a reasonably prudent product seller could and would have taken additional precautions. When the injury-causing aspect of the product was in compliance with a mandatory government contract specifications, this shall be an absolute defense.